Register for Making the Most of Michigan! Your first year at U-M is a journey – a time to get involved, explore your campus community, and start making the Michigan experience truly yours. Start your journey as part of the Leaders and Best! Welcome to Michigan! As you join your fellow members of the Class of 2022, you may already be seeing opportunities to get involved and explore your environment. 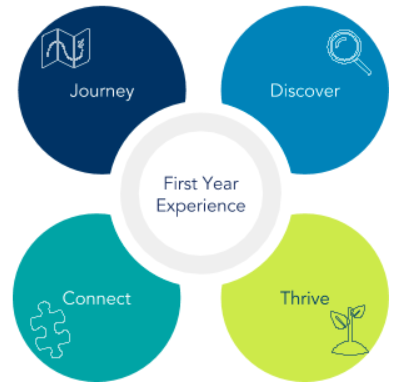 The First Year Experience (FYE) at Michigan is here to help you connect with and navigate the many programs, resources, and opportunities available to you. With the help of FYE, take advantage of all that U-M can offer! As you continue through the year, FYE will link you to deep-dive moments to learn new skills while connecting with your classmates.  From Welcome to Michigan to Festifall to finals week, you’ll engage with experiences around health and wellness, diversity and inclusion, living in community, academic success, career development, and leadership. Yes, that’s a lot of ground to cover...so we are here to help! We look forward to seeing you throughout the year. Go Blue! Applications for MLEAD Academy Leadership are now open! Looking to be a mentor and build your leadership capacities? Applications for MLEAD Academy Leadership are now open! Leaders for MLEAD Academy will be able to move back into University Housing early as well as receive free meals and compensation in the form of Blue Bucks. For more information and to apply click here. Change it Up! is looking for students to facilitate a 90-minute workshop that introduces first-year and transfer students to bystander intervention skills for the purpose of building inclusive and respectful communities. During the Fall 2019 semester Change it Up! will host over 50 workshops with audiences of approximately 100 students, each facilitated by two student facilitators in collaboration with the University of Michigan Educational Theater Company (UMetc). Apply to be a First Year Experience Student Coordinator for Fall 2019! Apply today to be an FYE Student Coordinator! Join the FYE team and work with first-year students as they create their own journey at the University of Michigan. We are looking for students interested in facilitation, programming, providing resources and helping first-year students learn and create community. FreshSpectives (Spectrum Center): FreshSpectives is a social group for LGBTQIA and similarly-identified first-year and transfer students to connect to community, support and resources.